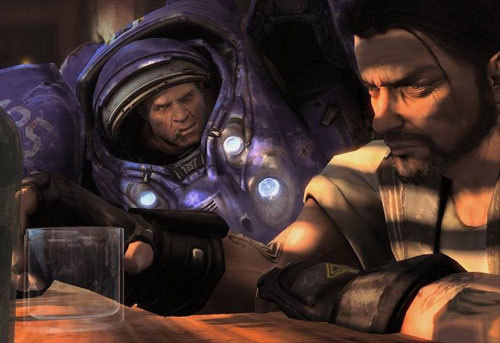 Not that we were truly expecting it, but it does come as a disappointment that Blizzard has announced no campaign co-op in StarCraft 2: Wings of Liberty. The game's lead designer, Justin Bowder told VG 247 the sad news last month at an exclusive hands on event with the game. No reason was given really, but with several other high profile RTS games able to pull of a solid cooperative experience, it seems like a mis-step. Of course with the StarCraft name behind it, there's very little Blizzard needs to worry about in terms of sales. Most likely the game will still support a comp-stomp form of co-op where you can team up with friends in a skirmish mode. There's a ton of new information and screens hitting the internet today. We recommend Kotaku and Shacknews for some of them. And don't forget the HD footage. Page created in 0.6920 seconds.